San Antonio, TX—The largest study to date comparing outcomes of radiation therapy and postmastectomy breast reconstruction found higher rates of complication and failure in women who received radiation therapy and had implant reconstruction versus autologous reconstruction. These data have been long-awaited, because there are no firm guidelines, and more women are being treated with radiotherapy. 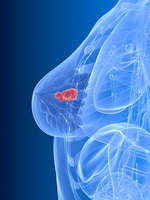 “The benefits of radiation for selected women with breast cancer are well-established. Updated guidelines recommend individual consultations for women who want breast reconstruction. Breast reconstruction has a significant impact on survivors. The integration of radiation and reconstruction is widely feared and poorly understood, with only limited evidence to date,” said Reshma Jagsi, MD, DPhil, Deputy Chair, Department of Radiation Oncology, University of Michigan, Ann Arbor. Dr Jagsi reported results from the large, prospective multicenter Mastectomy Reconstruction Outcomes Consortium study at the recent San Antonio Breast Cancer Symposium. “The practice in the US [United States] varies widely and reflects bias rather than shared decision-making,” she said. The study included 553 radiated and 1461 nonradiated postmastectomy patients who received either implants or autologous reconstruction at 11 institutions across the United States between 2012 and 2015. The median age was 49 years. The study end points included complication rate, failure rate, and patient-reported outcomes using BREAST-Q, a validated quality-of-life measure. In an analysis adjusted for relevant covariates (including extent of disease, timing of reconstruction, management of nodes, bilateral or unilateral reconstruction, and treatment with chemotherapy), the 2-year complication rate (ie, occurrence of ≥1 complications) was 33.4% in patients who received radiation compared with 23.5% in patients who did not. In those receiving radiation, 38.9% of patients who had implants versus 25.6% of patients who received autologous reconstruction had ≥1 complications. In those not receiving radiation, 21.8% of patients who had implants versus 28.3% of patients who received autologous reconstruction had ≥1 complications. A multivariate analysis found that radiation therapy was associated with a 2.64 times higher likelihood of complications by 2 years in patients undergoing implants compared with autologous reconstruction (P <.001). Reconstruction failure was reported in 11.4% of patients who received radiation, and 3.4% of patients who have not. This difference was largely driven by failure rates in radiated patients with implants (18.7%) compared with nonradiated patients with implants (3.7%). The failure rate in patients who received autologous radiation was 1.0%, and, in nonradiated patients, 2.4%. Bilateral reconstructions were performed in 45.6% of radiated patients and in 53.3% of nonradiated patients. Bilateral treatment and higher body mass index were predictors of complication. Approximately 83% of radiated patients and 96% of nonradiated patients had immediate reconstruction, with the remaining patients having delayed reconstruction. The data on the effect of timing of reconstruction have not yet been analyzed. Patient-reported outcomes on the BREAST-Q measure were consistent with these findings. Radiated patients had a lower satisfaction rate with their reconstruction than nonradiated patients, but they were more satisfied with outcomes of autologous reconstruction than implant reconstruction. “The main take-away points from this large, prospective trial are that radiation compromises outcomes of implant construction. Autologous reconstruction appears to have superior patient-reported outcomes and a lower risk of complications than implant-based approaches on patients receiving radiation. These data are critical to inform the growing number of radiated patients considering reconstruction,” Dr Jagsi said. “Even though autologous reconstruction appears to have fewer complications and failures, it is a longer and involved procedure, and not every patient is a candidate,” she noted. Several audience members stated that this study provides much-needed data to be used in discussions with patients who opt for reconstruction.